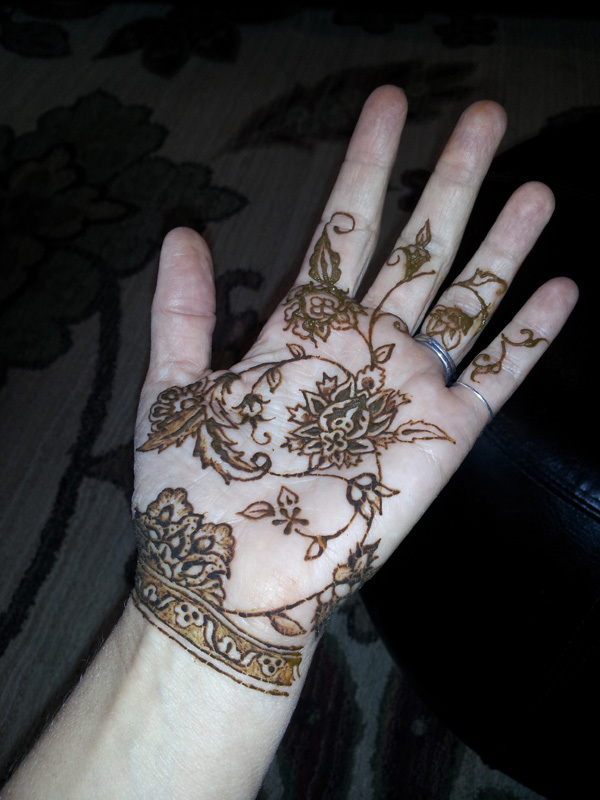 The ground leaves of the henna plant have been used for thousands of years to safely dye temporary designs on the skin. Today it is a wonderful way to enjoy body art that will last an average of two weeks and gradually fade away as your skin goes through it's natural exfoliation process. The stains are dark red to dark brown depending on the area of the body where the henna paste is applied. 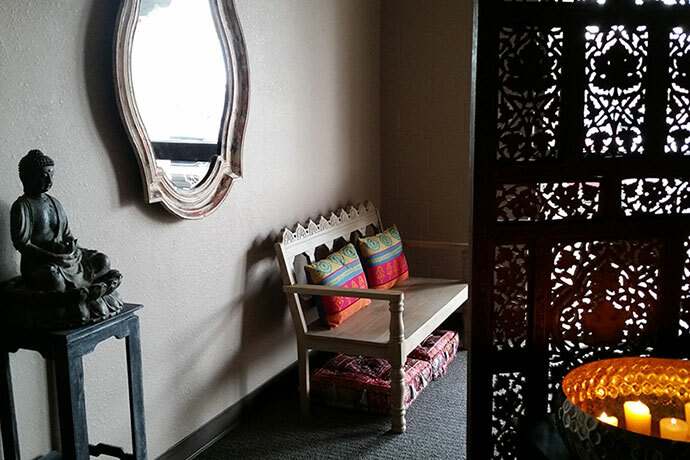 The application is a lovely time to sit still, relax, and enjoy the beautiful herbaceous aroma of the henna paste while watching the design unfold before you. 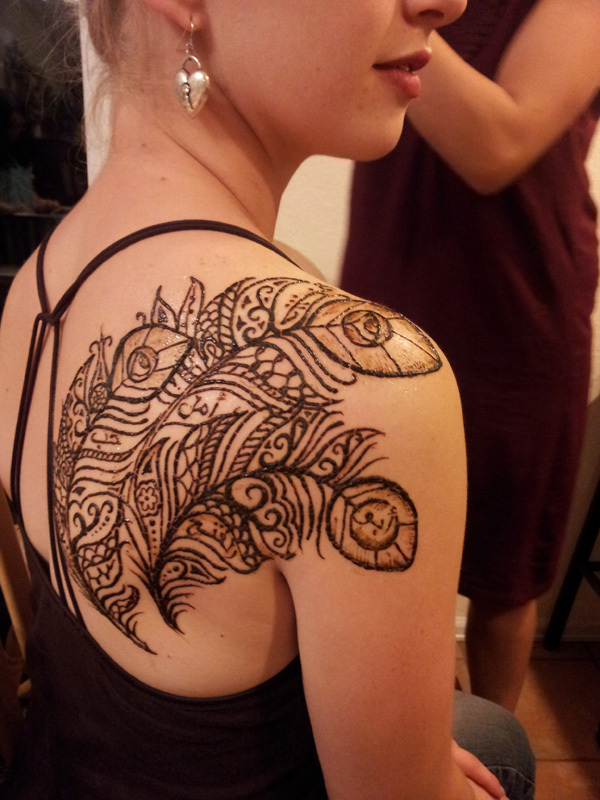 The traditions surrounding henna are joyous and celebratory. 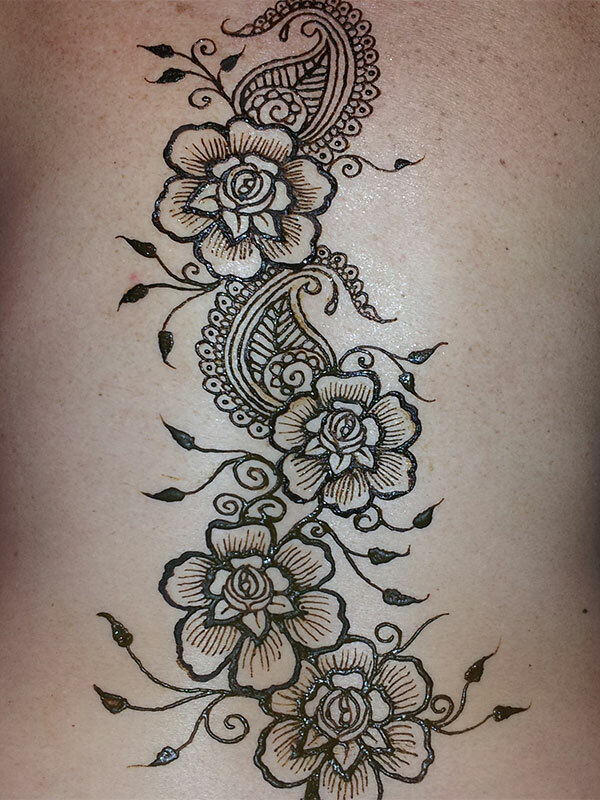 Celebrate the moment and perhaps a touch of the exotic with an exquisite henna design. Call for party and event pricing.